You don't necessarily have to head to the big cities to find intelligent repurposing projects: the premises of the cultural association and co-working space called FuoriLuogo in Asti, Italy designed by the architect Marco Pesce with Elisabetta Gonella is a virtuous example of just this. A forgotten building right in the historical centre of Asti, a provincial capital in the region of Piedmont, Italy - close to the UNESCO listed vineyard landscape of the Langhe - has become the focal point of a process for cultural and urban revival. The idea of restoring the “Ex palestra Muti” - a former sports centre stripped of all its equipment and functions - to bring it back into the “urban use” circuit is a real challenge at a number of levels. The young members of the FuoriLuogo association obtained a 10-year licence of right to manage the building for cultural purposes, under the tender called to restore this old, abandoned building. The Asti-based architect Marco Pesce worked with architect Elisabetta Gonella and the contribution of architect Alessandra Scotto to craft a solution for a “term-based” contract. The guidelines for the project have been respect for the existing structure, reversibility of the intervention, flexibility of the spaces, cost saving without compromising the content, short construction period. They stripped the cultural heritage listed building down to its bare walls and now it's ready to welcome the new contents. 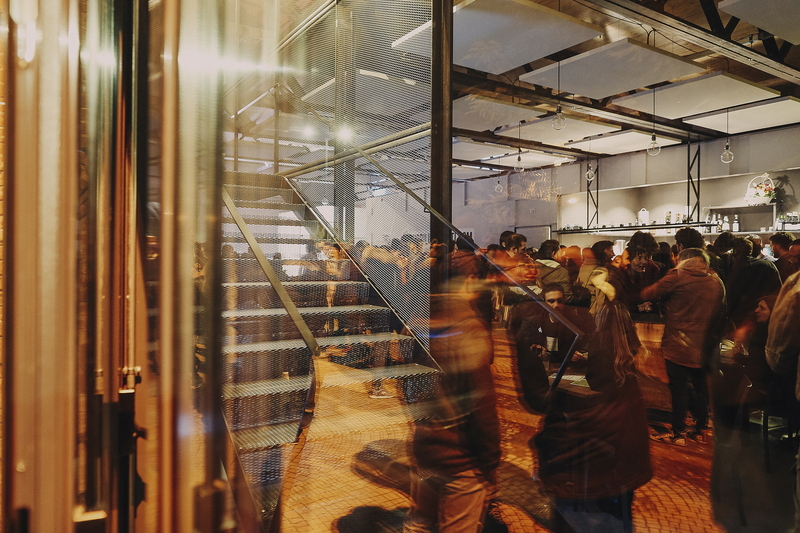 The new spaces of “FuoriLuogo” include a stage, a large equipped open space ready to hold temporary and permanent exhibitions, a corner bookshop, a coffee shop with food preparation area, changing rooms, toilets and storage areas on the ground floor; an open staircase made from stretched sheet metal leads up to the mezzanine floor, which has been set up with co-working spaces, offices and meeting rooms. As Marco Pesce explains, each element has been carefully considered with a specific time frame, and they can be easily dismantled and remounted elsewhere to assure the reversibility of this operation for other possible future end use. Eight enterprises worked to complete “FuoriLuogo” in the record-breaking time of just 13 months from the time the site was assigned to when it opened in March, with the actual building site open for only five months. The association funded the whole thing itself, so they opted for low-cost solutions which in no way compromised the aesthetic results. 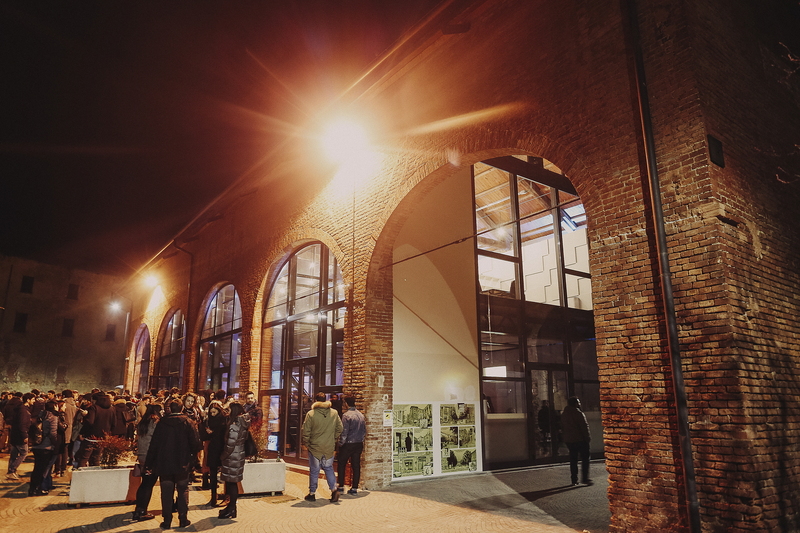 The restoration and repurposing of the “Ex palestra Muti” have given it all the potential to drive social change, also due to the cultural project behind it, with art, literature, music, sports and other special events planned on an ongoing basis. A change brought about by proactive citizens who have reclaimed their urban spaces - the best cure for decline. Room with a view. A country holiday.